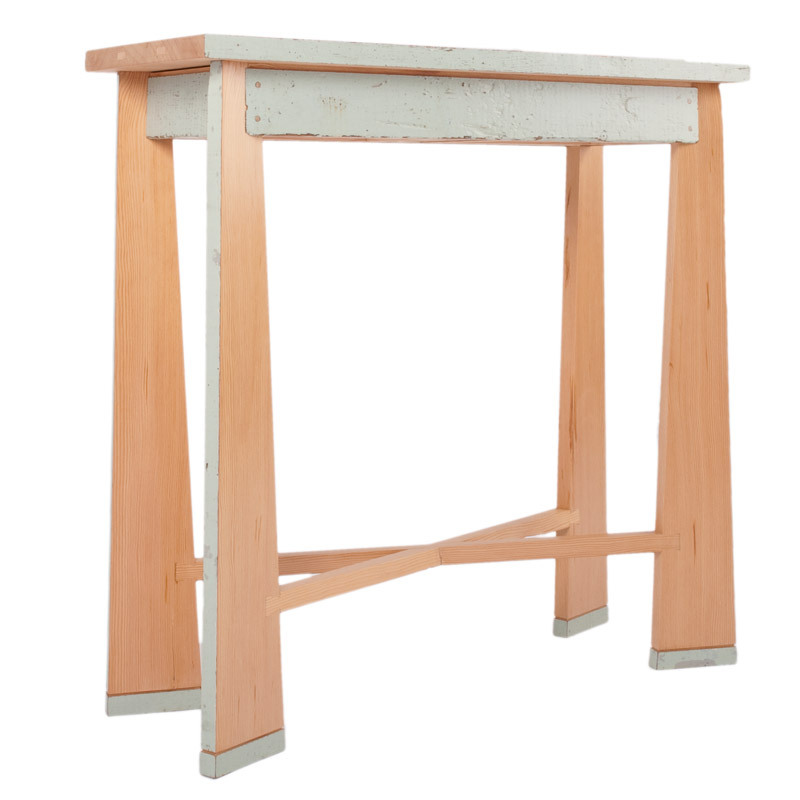 The x-series side table is designed as an entry way / hall table, or can be placed alongside a sofa. 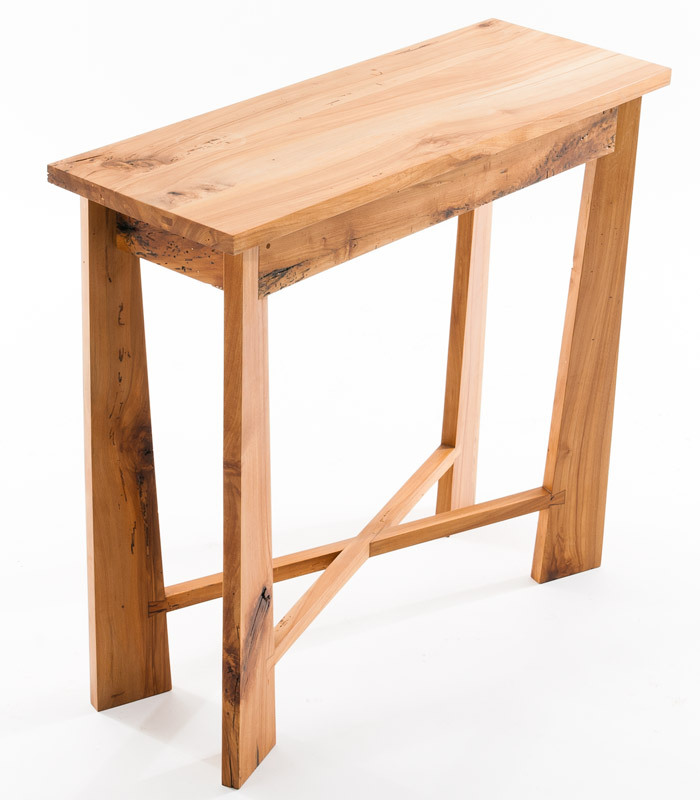 Dovetail joinery attaches the cross support to the tapered legs, giving the table exceptional strength and stability. 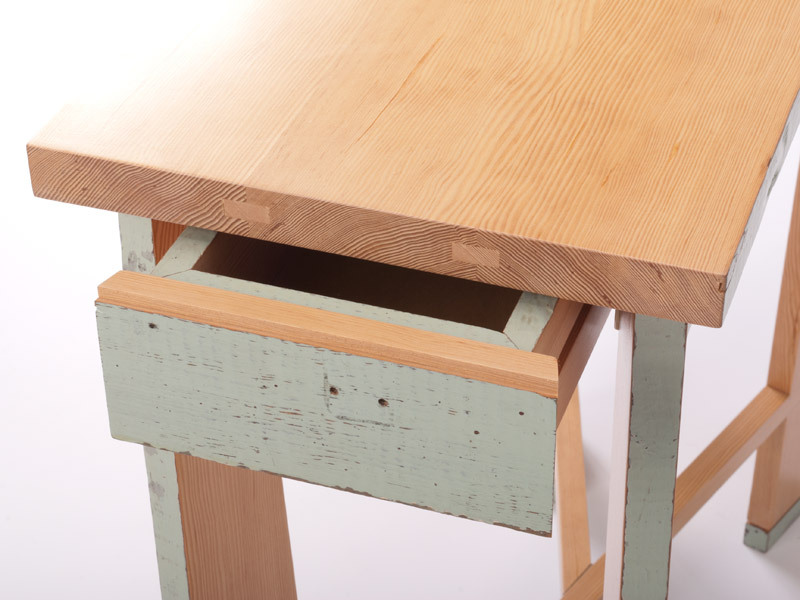 Hidden drawers provide a great place to conceal your everyday clutter. 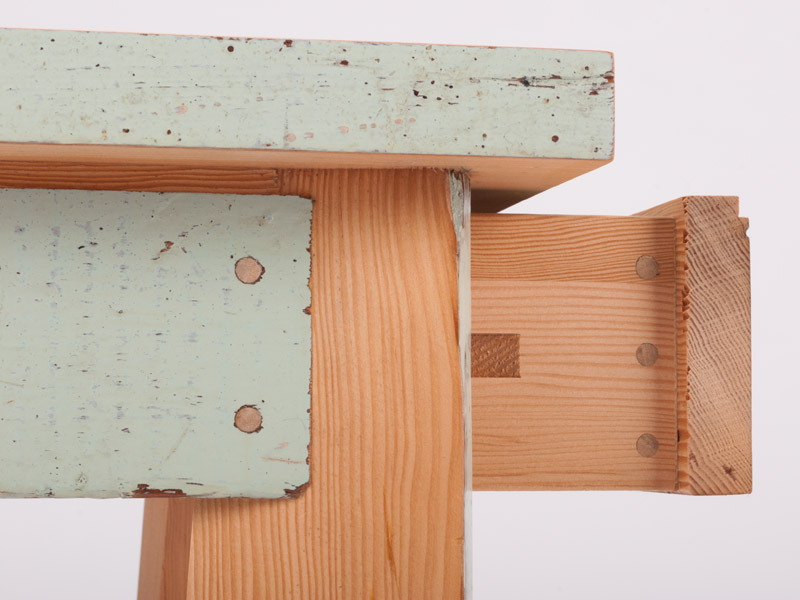 Both pieces shown were made from reclaimed lumber. The blue painted piece was salvaged during a basement remodel in Portland. 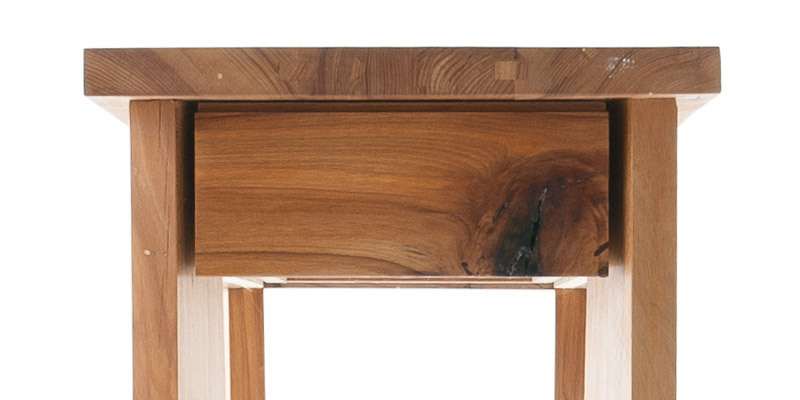 The other, a piece of beech, was reclaimed from a whisky storage unit in Kentucky. 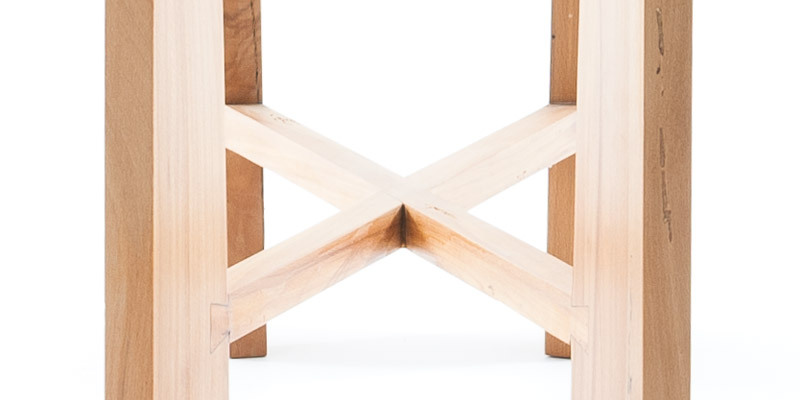 Available in a variety of hardwoods.